Microsoft Surface Precision Bluetooth mouse can flawlessly switch between devices, which keeps you staying productive, and it has three customizable buttons. Cool? Let’s continue checking. The Surface Precision is a beautifully designed wireless mouse that measures 3.06 x 4.83 x 1.7 inches and weighs 4.76 ounces. 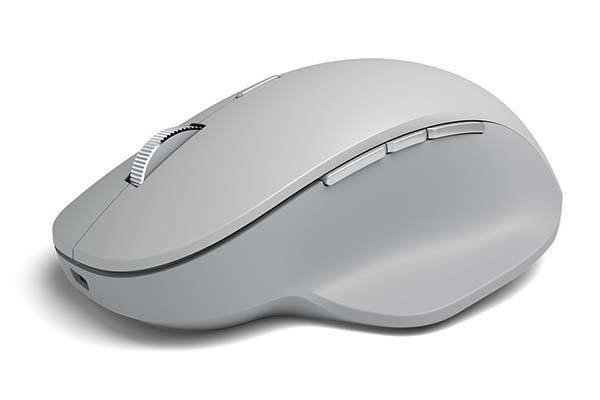 As we can see from the images, the mouse features an elegant, minimalistic appearance design that perfectly matches with other Surface products like Surface Book 2, Surface Pro and more. Meanwhile, the ergonomic shape with side grips and a thumb rest lets you comfortably put your right palm on the mouse for long hours of work. 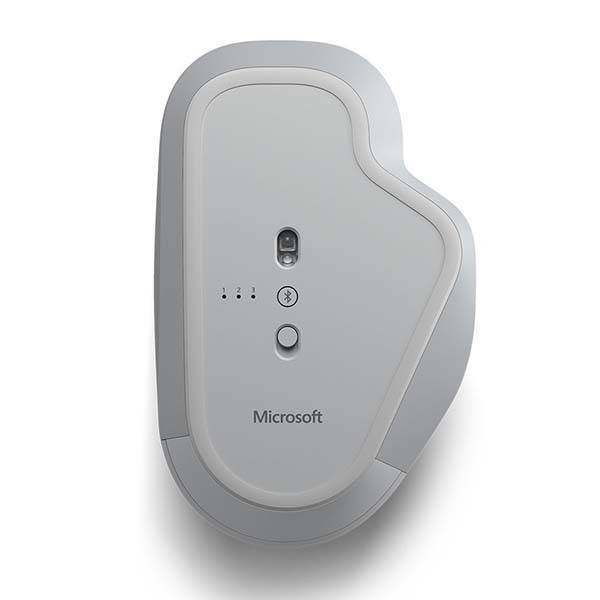 Microsoft Surface Precision Bluetooth mouse comes equipped with three customizable buttons, and the patented magnetic scroll wheel provides precise control. Furthermore, the wireless mouse is powerful enough to pair with up to three computers, so it features flawless transitions between the devices for enhanced productivity. Moreover, built-in rechargeable battery offers up to 3 months of use on a full single charge, and an included cable allows you to use it as a wired mouse. 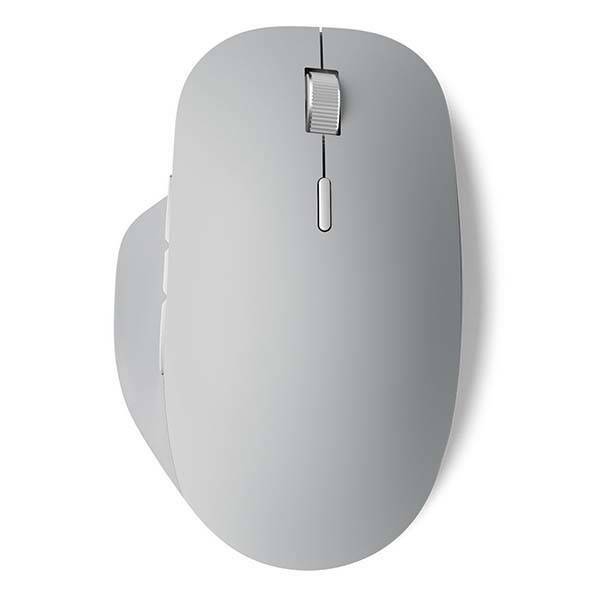 The Surface Precision Bluetooth mouse is priced at $79.99 USD. If you’re interested, jump to here for its more details.